Friendship. Betrayal. Revenge. Prepare for an epic adventure unlike any other as the world of Jak and Daxter unveils some drastic and amazingly radical transformations. Travel to a future alive with drama, conflict, uncertainty and boundless possibilities. 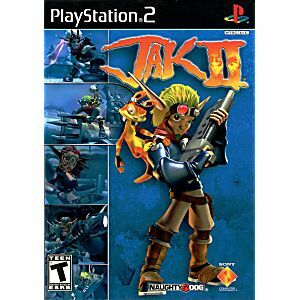 Featuring advanced technology and characters both familiar and new, Jak II is a true plot-driven adventure game, where every mission has a direct effect on the storyline. 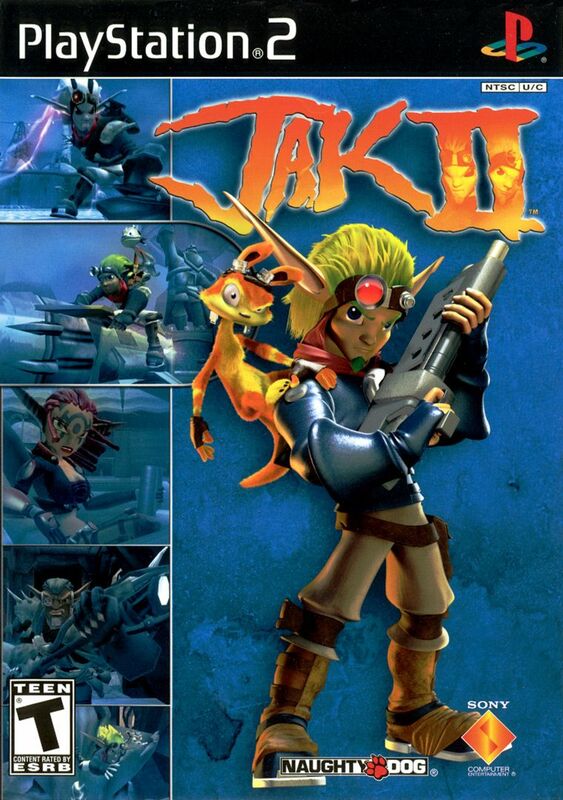 With stunning graphics and animations, Jak II takes gamers on a journey through an enormous mystical world, darker than they have experienced before, as an immersive tale unfolds. Haven't played yet, but the game came in with 0 scratches, and the manual fully intact / no damage! very happy with my game! Excellent condition extremely fast service very HAPPY ?? This is the first item I've ordered off this website. The game is just as fun as it was when I was a kid. It arrived a day later than it should have but I imagine that was a problem with the post office. Game came complete as I ordered it and in immaculate condition. I recommend this product and this site thoroughly. My son likes this better than the 1st one! Fun game! 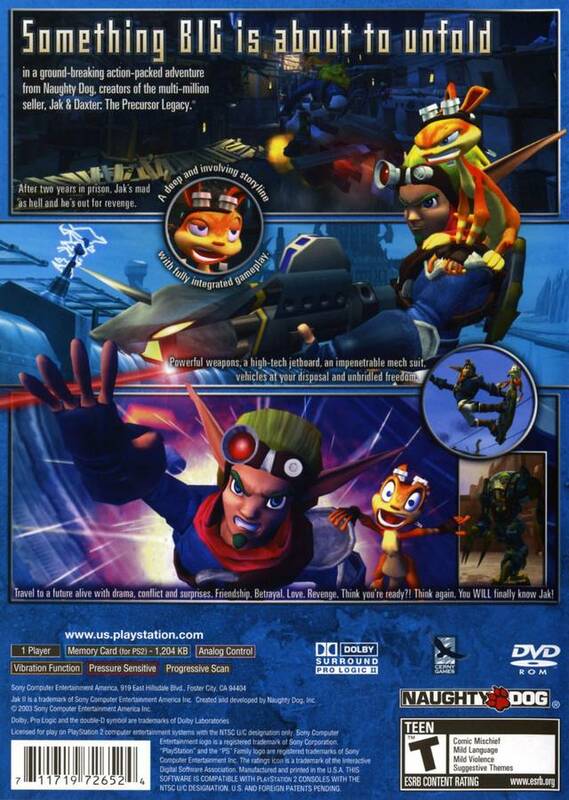 The first Jak and Daxter game was one of my favorite games growing up. Unfortunately, the second game was violent enough that my parents didn't want me playing it. Now that I am older, I wanted to buy this game, and let me tell you, IT IS GREAT! Very fun game indeed. The difficulty tends to spike around depending on the mission. I actually got this game because it was only $20 at my used game store. I was hoping it would be good.. And it was! Even without playing Jak and Daxter, I quickly understood the plot of the series, and fell into the game. I'd find myself playing for hours on end, even when I beat the game. Getting your Dark Jak powers are amazing, and the game is hard at times, which makes it fun in my opinion. Whether you're new to the Jak and Daxter series or you've played before, it's fun for everyone. I seriously recommend getting this game!